← My Interview on Valerie Ormond’s Blog! Janice Spina was previously featured on Reading Recommendations in May, 2014, and is back now to tell us about her first novel for adult readers! 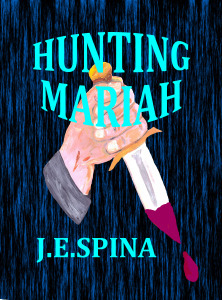 This entry was posted in Writing, book reviews and publishing, poetry, children's books, YA and novels and tagged Action, Author, blogging, crime/mystery/thriller, debut novel, Hunting Mariah, J.E. Spina, Mystery, Reading, suspense, Thriller, Writing. Bookmark the permalink.